When “World of Color” first debuted at the Disney California Adventure theme park for the summer of 2010, Disneyland Resort guests were wowed by almost twelve thousand dancing water fountains, choreographed to colored lights and music from numerous beloved Disney films. And last spring, during a scheduled maintenance of the show to prepare for the grand opening of Pixar Pier, a technical malfunction unfortunately caused the popular nighttime spectacular to become unavailable for nearly a year. Now, after what felt like an eternity of refurbishment, “World of Color” is officially back up and running at DCA, with the first surprise soft-opening performance happening late Friday night as the park was closing its gates. Despite the show being unannounced, FastPasses were distributed throughout the day and guests gathered around Paradise Bay to witness the first “World of Color” of 2019— and of the Pixar Pier era at Disneyland Resort. 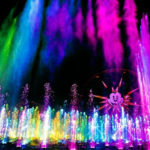 Though no major changes have been implemented to the standard “World of Color” show in the eleven months it was down, fans of the light and water show were thrilled simply to bask in its very presence again, as songs from The Little Mermaid, Aladdin, Pirates of the Caribbean, Pocahontas, and Toy Story swelled dramatically as plumes sprayed up into the air and swayed to the music. 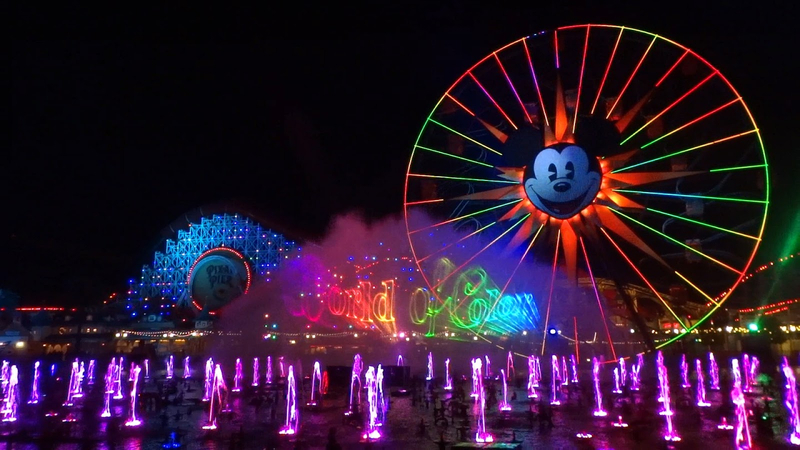 “World of Color” runs nightly at Disney California Adventure in Anaheim, California. 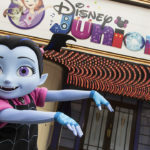 For more details, a schedule of upcoming performance times, and advance ticketing resources, be sure to visit Disneyland Resort’s official website.